I recently got a Maxbotix LV-EZ4 Ultrasonic Range Finder to try understand how to use it with my little Arduino. 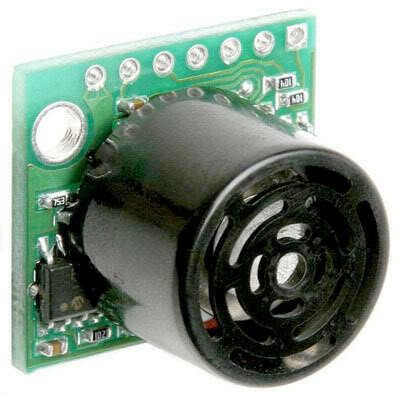 Having a ultrasonic range finder can be very useful in many different projects, as it can detect objects, I can use it to make alarm systems (cars usually use this kind of sensor), Obstacle-Avoiding Robot and many other things that you may have in mind. It works better outdoors then the IR sensor, but the only thing I could notice is that it doen’t detects very well some thick carpets. Besides that, it’s a great sensor. From the datasheet we can read that it sonar range information from 6-inches out to 254-inches (15.24 cm – 6.452m).